When you’ve twice won the Jimmy Watson Trophy, the most prestigious and sought after wine award in Australia as well as a fistful of coveted international awards, striving for the ultimate…the best vintage results … is a very real goal for Katnook Estate’s winemaker Wayne Stehbens. Katnook celebrates 30 years of its Cabernet Sauvignon this year and Wayne Stehbens celebrates 35 years as Katnook’s winemaker. Few winemakers in this country know their region so intimately over such a period. It is a knowledge that has him intuitively understanding and massaging the intricacies of the climate, season and the soil that brings out the quality and unique nuances of the Coonawarra grapes. 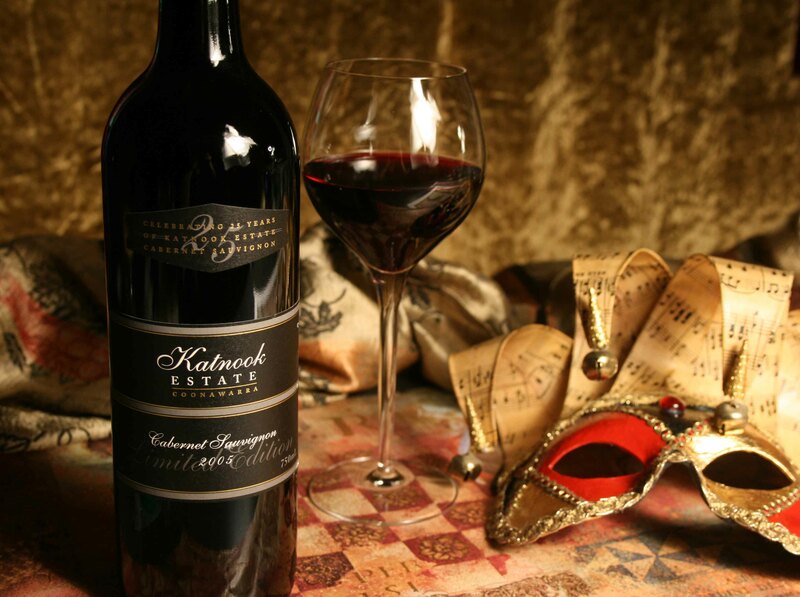 Coonawarra is globally acknowledged as one of Australia’s great wine regions, known particularly for its extraordinary cabernet sauvignons and Katnook is one of its most famous producers. There is an irresistible alchemy between the region’s famous red terra rossa soil, underlying limestone and the perfect weather conditions for grapes. In the narrow 21km long and 2 km wide strip of Coonawarra’s hallowed terra rossa soil, Katnook has emerged as synonymous with consistently excellent cabernet sauvignon wines. The newly released vintage of Katnook’s Cabernet is 2011. It is testament to Stehbens’ almost symbiotic relationship with what the region bought forth in its grape harvest that year. His terroir-driven skill has orchestrated another highly desirable Cabernet to rub shoulders with its predecessors. The first vintage was in 1980, which went on to win two gold medals at the 1982 Canberra and Perth Wine Shows. The 2011 alongside the 2010 exhibits an unmistakable and quintessential family DNA. So too did all the Katnook Cabernets tasted at a recent vertical tasting of vintages through the years. The 1980 – Stehben’s first born – was still magnificent. And in celebrating 30 years of Katnook Cabernet, Stehbens recently matched three decades of Katnook wines – red and white – with music in the Utzon Room of the Sydney Opera House. 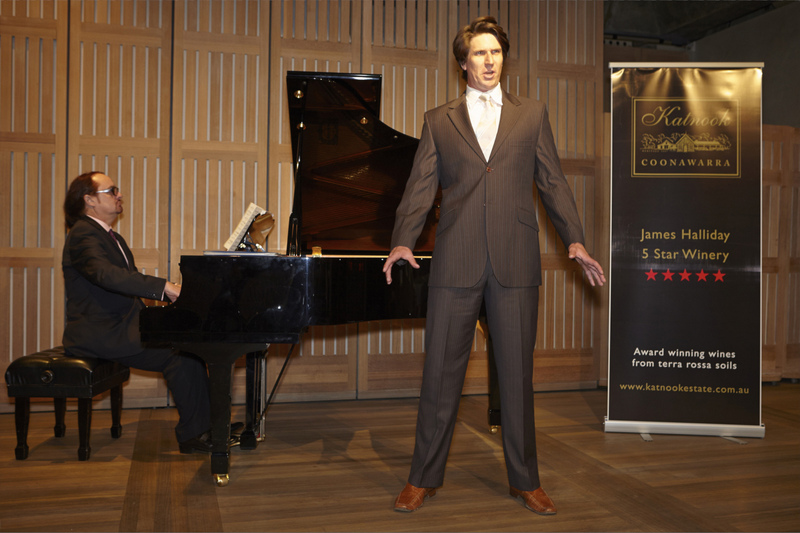 Opera Australia’s baritone Luke Gabbedy accompanied by Brian Castles-Onion performed a series of operatic aria matched with the best from Katnook. Does that make winemaker Wayne Stehbens who has fathered all these wines a maestro….a virtuoso? Quite possibly. But by all accounts from anyone who knows good wine – he consistently makes a quintessential Coonawarra wine designed to match all styles of food…even opera it would seem. Katnook is an aboriginal word meaning “Fat Land” referring to Coonawarra’s fertile, red soil – and its Cabernets repeatedly show plenty of depth of flavour, lovely supple tannins and persistent length. Coonawarra cool-climate mint sits beautifully with blackcurrant fruit in their classical structure.